The Terminator definitely wasn’t the first “travel back in time to prevent Armageddon” story, but it is one of the most popular ones, and it has been homaged countless of times in the comic book medium. The “Super Sons of Tomorrow” crossover is the latest such arc. Batman-Tim Drake from an alternate future has traveled in time to kill Jon Kent, who causes the destruction of Metropolis. 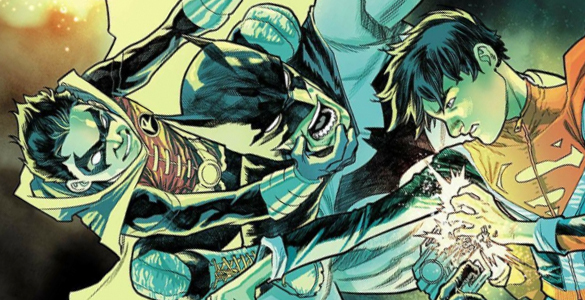 Super Sons 11 is a crossover chapter that benefits from — if not requires — having read previous issues of both Superman and Detective Comics. Despite that, Super Sons 11 doesn’t function particularly well as a chapter of its own crossover. Damian and the Teen Titans are fighting the very forgettable villainous team “The Hangmen” with some secret assists from Jon as he zooms in and out without being noticed. 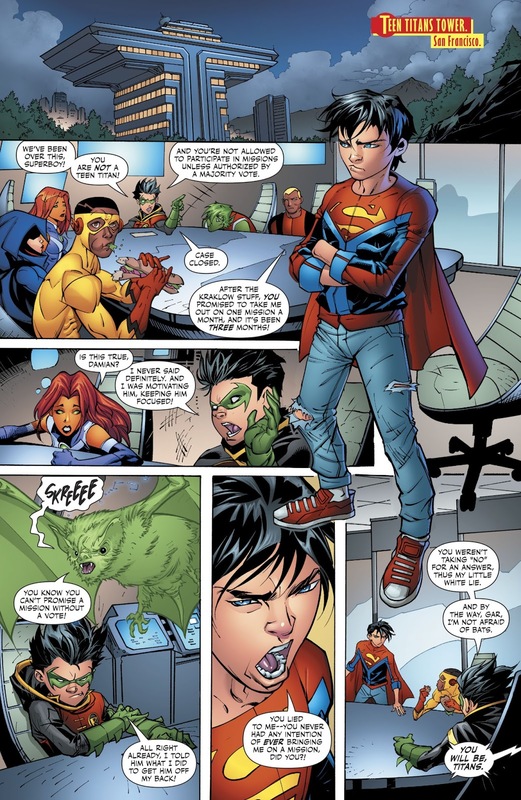 Post-battle we get a little back and forth between Damian and the Titans on whether or not Jon should join the team. Not long after, Bat-Tim shows up to announce and announces his plan to take down Jon. If there’s any through-line here, then it’s that Damian is embracing more and more of his father’s less desirable traits. 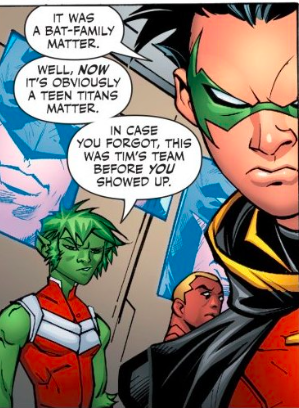 Damian withholds two pieces of information from his Titan teammates: the fact that he’s been leading Jon on about team membership and that he knew about crazy ‘ol Bat-Tim. I’m reminded of “Death of the Family,” where Batman left his team out of the loop on vital info. With this kind of secrecy, I’m positive that the Titans will want Jon on the team. When it comes to super teams the bat needs an “S” to keep him in check.